Wear the POSITIVITY Life's Journey bangle to celebrate all the joy that you have experienced in your life, and as a reminder to always focus on the things that bring you happiness. The elliptical shape of the bangle represents the detours on your journey, while the Smoky Quartz banishes negativity. 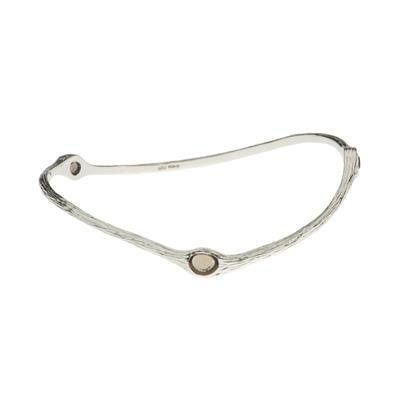 This bangle is made from 925 Sterling Silver.